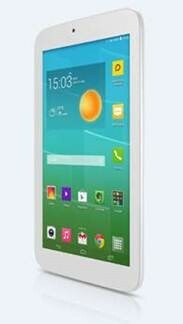 The ALCATEL ONETOUCH POP 7S was last night announced as the ‘Best Value Tablet’ at the annual Mobile Industry Awards. Beating competition from the likes of Samsung, Acer and Tesco, the POP 7S was awarded the prize at the awards ceremony held at The Brewery in London. Judged by leaders in the mobile industry, the POP 7S tablet was recognised for offering super-fast LTE connectivity at a smart price. The super slim and light 4G entry-level tablet is perfect for streaming music, watching TV or browsing the internet. Sporting Android KitKat 4.4, the POP 7S is a fun and feature-packed POP series tablet that is easy-to-use and easy-to-choose. It offers a customised user interface and wide range of dedicated colourful accessories. The POP 7S is one of the most competitive LTE 7” entry-level tablets available to the mass market. At 8.9mm thin and weighing only 285 grams it is ideal to be effortlessly carried in any backpack, satchel or handbag. Powered by a Quad Core processor, the POP 7S allows seamless multi-tasking between different activities such as gaming or streaming music and comes equipped with a 3 megapixel rear camera to capture priceless moments on the go. ALCATEL ONETOUCH’s design ideology of bringing smart technology to daily life. Voice call support means that the POP 7S is able to make and receive calls via a Bluetooth phone – Sidekick, headset or loudspeaker. Users can continue to browse while catching up with friends and family about the latest films, favourite music or online games. The POP 7S is available from nationwide retailers including Carphone Warehouse, EE, O2 and Amazon.co.uk priced from £95.00.